I am not an organizer. I'm one of those people who gets so overwhelmed when I start, that I literally start walking around in circles and staring at things but nothing gets done. But today that has to change. Usually I can get myself going by just picking up one item and starting with that. So here's what I am doing today. 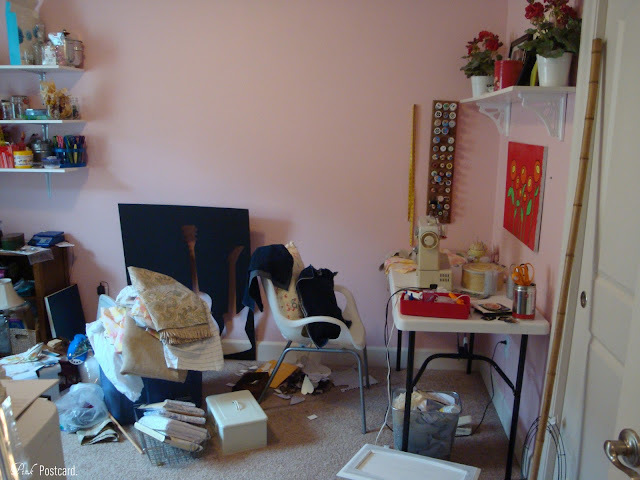 I loathe showing anyone my mess, but hopefully it will show you the frustration point that I am starting from. This is where I'm supposed to create. It doesn't have nearly enough storage, and what is there is ineffective. I am tripping over stuff on the floor, shoving stuff out of the way on my table just so I can paint / glue / hammer. 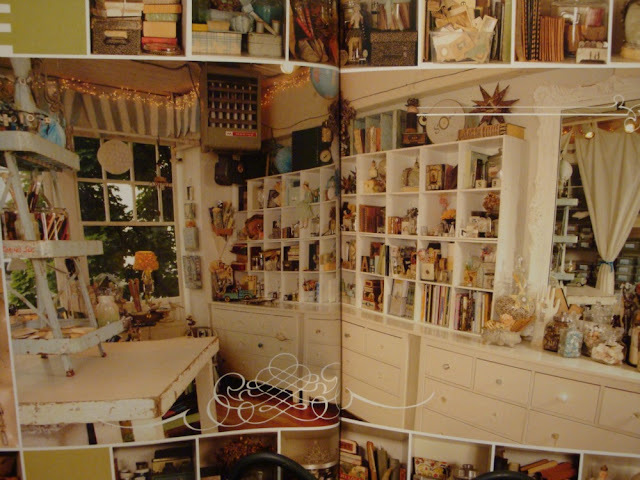 It's the kind of room that I want to be in, but can't wait to get out of. It's become a dumping ground. This won't be a huge sweeping transformation that will be done by the end of the week. 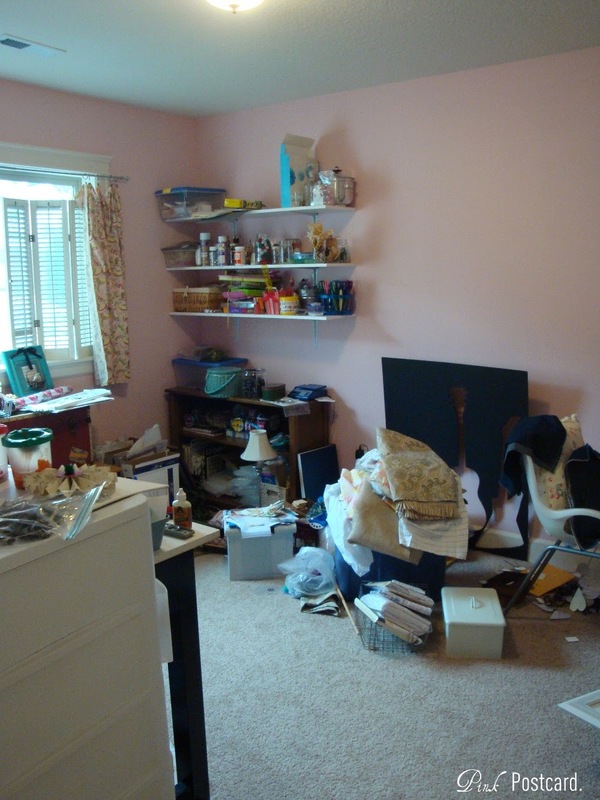 We don't have it in our budget to do a big room makeover right now. But it has to change even in little ways if this is the room I am supposed to be creative in. This will be a work in progress that will evolve over time, but for now, I have to start with the basics of getting organized and functional. I started by lightening the room color. I was so enthusiastic to get this room going a couple years ago, that I ran out to the paint store and bought a gallon of pink paint. I wanted it to be a vintage pink. 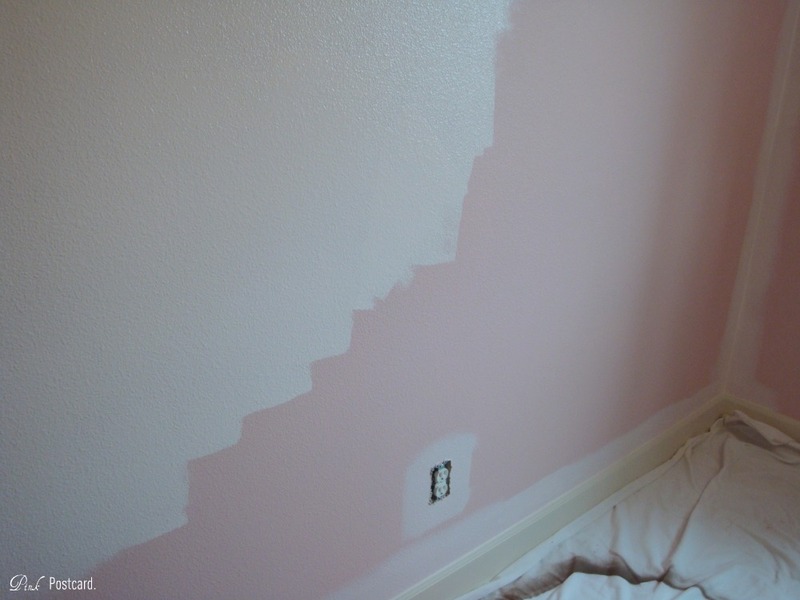 Instead it looked like a girl's nursery pink. It bugged me, and I knew I couldn't move forward until it was fixed. I just wanted to show you the difference between the two colors. 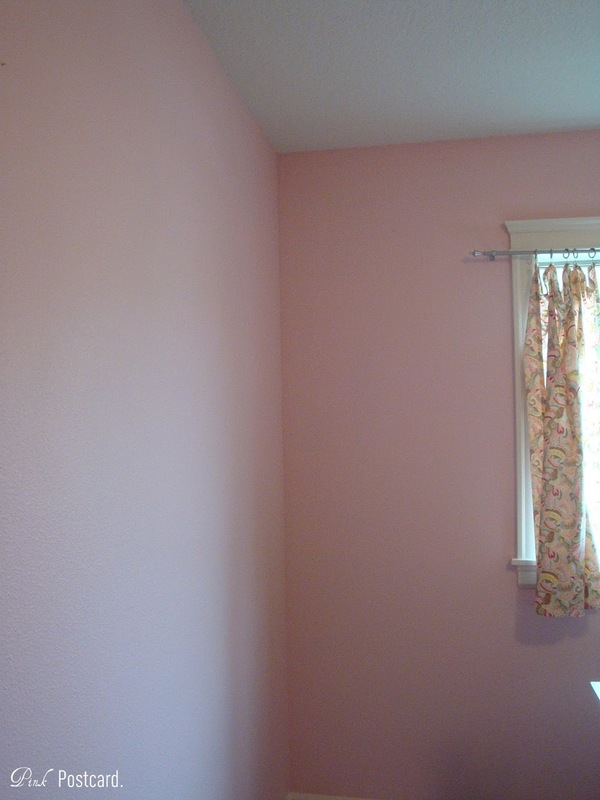 The new color is Benjamin Moore's Touch of Pink mixed in Home Depot's Behr. It almost looks white in comparison. 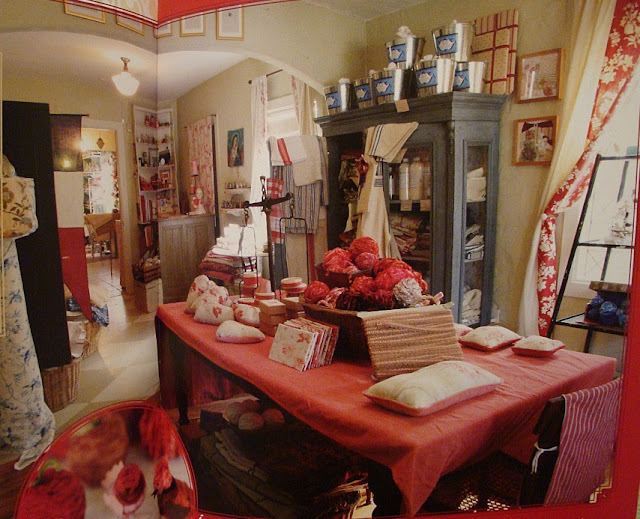 My colors that I plan to work with are pink and red, with accents in black and white. I can't decide if want to go more with a vintage slant or a contemporary feel. Maybe a mix of the two. One of my biggest inspirations and references has been "Where Women Create"- the first issue. That's what I'm up to for today. Small steps towards a greater goal. Hi Denise! I can sure relate to the "walking in circles" when it comes to organizing...especially craft supplies! It was brave of you to show us the before pics! I see loads of potential there and I love your inspiration rooms! You don't think that looks bad do you?Oh, please.You should see my "craft room" which is the UNFINISHED and therefore, unheated side of the basement.Bags, and boxes and I don't even know what all.So many projects, so many ideas and no way to do them because there is no work area.I am in fact supposed to be down there organizing right now.But it's cold and mostly I stand there staring at the piles while thinking, "I don't know where to put this.I don't have anywhere to put this. "So good for you.You are making real progress.I think I'll just live vicariously through you!Good luck. Can't wait to see the finished room! Good luck! I love organizing, but have also been overwhelmed at the starting point. Hang in there! 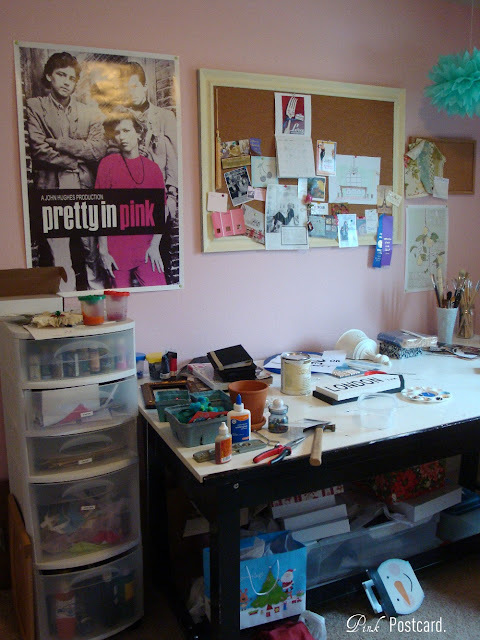 How lucky that you have an entire room all your own to create in! I am sharing a small corner in my husbands office for my crafting area. 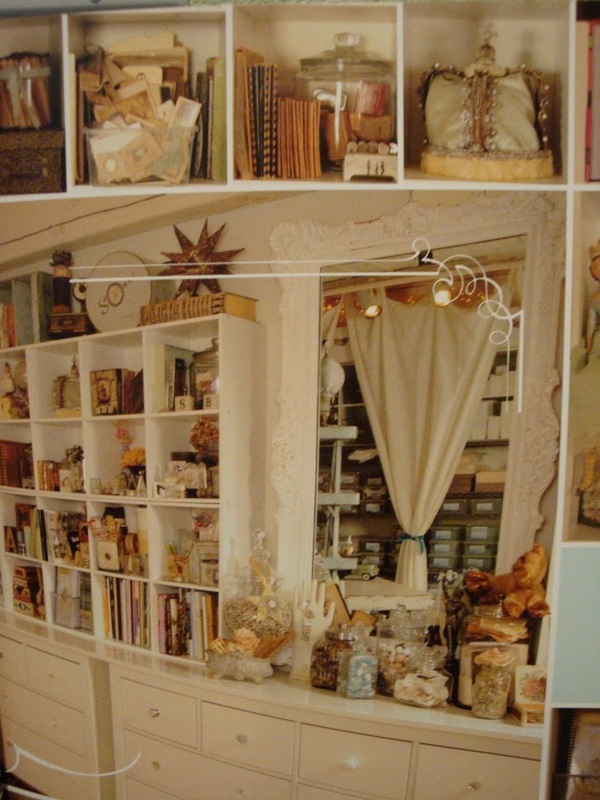 You've picked some beautiful inspiration rooms! I can't wait to see what you do with it!